It's all fun and games until someone proposes a top speed run. It’s a bit odd that one of the only places in the world where you can take a car to its top speed (that is if you’re a nobody with a fast car, no access to super special top secret testing facilities, and no government connections to shut down roads for you) is to head over to Germany and get onto the crowded yet derestricted Autobahn. That’s exactly what the owner of this manual Alfa Romeo Giulia Quadrifoglio (which only comes to America as an automatic) wanted to do. 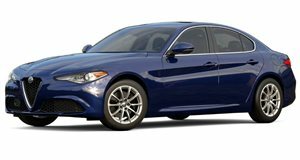 Though the situation is one that falls within the realm of legality, pushing the Giulia QV to the high limits afforded by its 505 horsepower twin-turbo V6 power plant involves a bit of a moral dilemma. Namely: should the driver gun it like a hooligan, hopping between lanes at bewildering speeds, just to get around the annoying left lane impediments or wait for a clean spot of runway like a responsible driver? Not being cast members of the latest Fate of the Furious movie, we’re advocates for the latter, which is thankfully what this driver decides to do. After the foreplay (which ends around the 5:25 mark), the lucky pilot guns the Alfa to speed, eschewing shyness and reaching a maximum speed of 289 kilometers per hour (179 mph). This is a bit less than the 191 mph top speed Alfa advertises, but with looks to kill and handling that can only be described as bliss, we’ll give it a pass.